Duo Realis G87 20A Deep Diving Crank Review L.O.U.S. Introduction: Our next entry to the L.O.U.S. 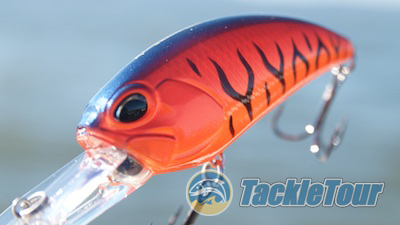 (lures of unusual size) series of crankbait reviews is a product from upstart Duo Realis. This company is as aggressive and cutting edge as they come where baits are concerned and their L.O.U.S. deep diving bait entry is no exception. 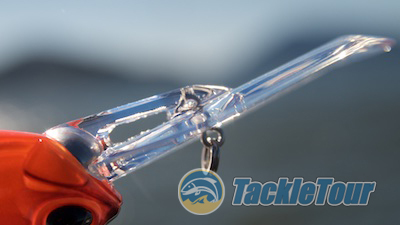 Here now is our look at the G87 20A deep diving crank from Duo Realis. Quality/Construction: The G87 20A by Duo Realis is a three inch and change bait not counting the bill. If you take the bill into account, the entire length of the bait measures roughly 5-3/4 inches easily qualifying it for our L.O.U.S. series. The finishes on all our test baits were executed very cleanly and there is a good deal of detailing around this bait's head and gill plates. Each bait comes with what appears to be two #1 trebles and craftsmanship is spot on with all our baits. 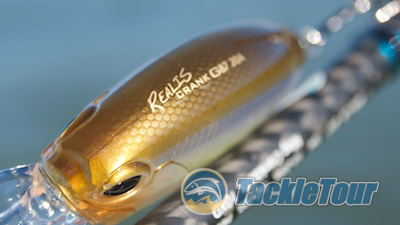 Introducing the Duo Realis G87 20A deep diving crank. Performance: I threw this bait on a number of deep cranking rods including the Dobyns Rods 806CB, Evergreen International Leopard, and an Enigma deep diving cranking rod. My line of choice was a ten to twelve pound nylon monofilament. Not only does this bait feature a unique diving bill, but look at the bottom - there's extra reinforcement to help keep the bill from cracking prematurely. Castability: The G87 20A benefits from an internal weight transfer system that helps to shift the bait's center of gravity as you make your cast. This internal weight is very effective in helping you launch this bait long and true. There are occasions where it will roll in the wind, but most of the time, it's due to a poor windup during the cast or too quick of a wrist snap. Another perspective of this bait's extra long bill. Dive Time: Click over your reel after your line has had a chance to settle, begin your retrieve, and the G87 20A begins an immediate descent into the depths. On thin diameter nylon monofilament, the bait dives down relatively quickly with minimal resistance as your cranking - a welcome trend in a lot of these newer deep diving cranks making it easier for you to throw during a full day of cranking. 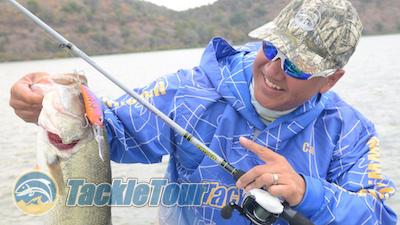 Estimated running depth for us was typically 16-17 feet on 12lb test nylon monofilament (Sunline Supernatural), and we have no doubt that the lure can get down even further with ideal conditions. Rigged and ready for some testing. Retrieve: The G87 20A works well at all speeds with pressure increasing, of course, the faster you try to pull the bait back. At these varying speeds, the baits I threw ran true and with the right rod, you can feel the bait wobbling its way back to you. Note the hooks can be made to touch but surprisingly enough, there were no fouling issues while fishing this bait. 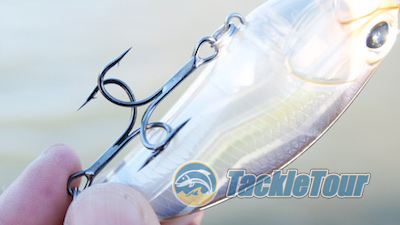 Deflection: More important than depth and speed of retrieve, this bait works very well over submerged structure. That unique bend in the bill of the bait inspires confidence that it will deflect whenever you encounter possible entanglements. Not to say that it won't ever hangup - all baits eventually do - but the G87 20A does very well at bouncing off of structure too, once you feel that bump of a potential snag. See the bearing at the base of the bait's bill? That's its typical resting point. It's thrown to the back of the bait on each cast, but returns here and held still with a magnet during the retrieve. Features: The most notable feature of the G87 20A is that internal weight transfer system. What makes it interesting is that though it shifts during the cast, during retrieve, it rolls back to a forward position in the bait where it is held in place by a magnet for little to no rattle. 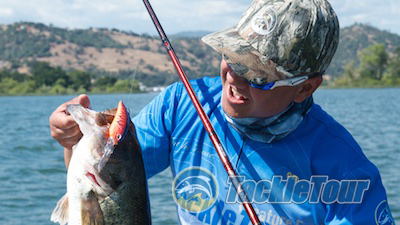 Most baits with a large, moving weight have that bearing serve double duty as a knocker. Duo Realis silences this bearing for a more stealthy retrieve. Another nice little miscellaneous feature of this bait is the reinforcement it has at the bottom of the bill to keep it from cracking. This is a very well thought out bait. Cranking off shore over submerged humps can be great fun with a bait like this. Design/Ergonomics: The consistency of our four (4) test baits right out of the package was excellent. All baits ran true right out of the box. Weighing only one and one quarter of an ounce (1-1/4), the G87 20A is the lightest of our L.O.U.S. baits thus far but that just means it's easier to fish. Realism of the bait is good, and the hooks can be made to touch while holding the bait, but I don't recall having those hooks ever foul on a cast. The G87 20A from Duo Realis serves a specific role in your arsenal, and it serves it well. 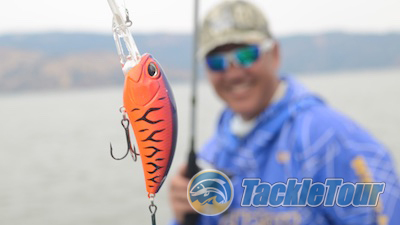 Application: Duo Realis's G87 20A is a very good deep diving option. I was only able to achieve roughly 16-17 feet depth, but the manufacturer rated running depth is very realistic if you use thin diameter line akin to Sunline Supernatural's 10 or even 8 pound test or some 20lb braided line. I like the way it deflects off of rocks in deep water. Ratings Key: 1 = terrible : 2 = poor : 3 = lacking : 4 = sub par : 5 = mediocre : 6 = fair : 7 = good : 8 = great : 9 = excellent : 10 = unbelievable! 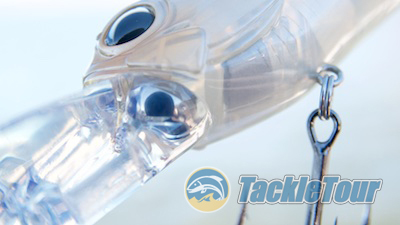 Looking for another deep diving bait to add to your arsenal? Don't overlook the G87 20A. Conclusion: As our fishing waters grow more pressured and the number of anglers on the water increase, it's nice to have the option to search for that school of fish in deeper and deeper water. The movement towards these extra large, extra deep running cranks is very real and Duo Realis's entry is more than worthy of consideration. 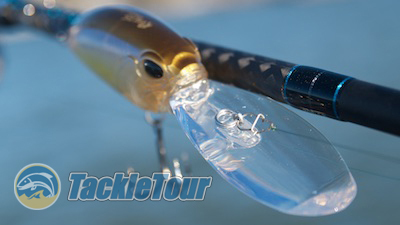 The G87 baits run very consistently, and the finishes are top notch. Throw in that extra bit of reinforcement at the diving bill, and you know these baits are built to last.